I’m a study coordinator for a dementia research group at the University of Sydney. Where do I start? Without sounding too cliché, horses truly have changed me from the inside out by making me a more patient and forgiving human. I would say without a doubt that being around them and being able to ride them makes horses the most impactful and beautiful part of my life. 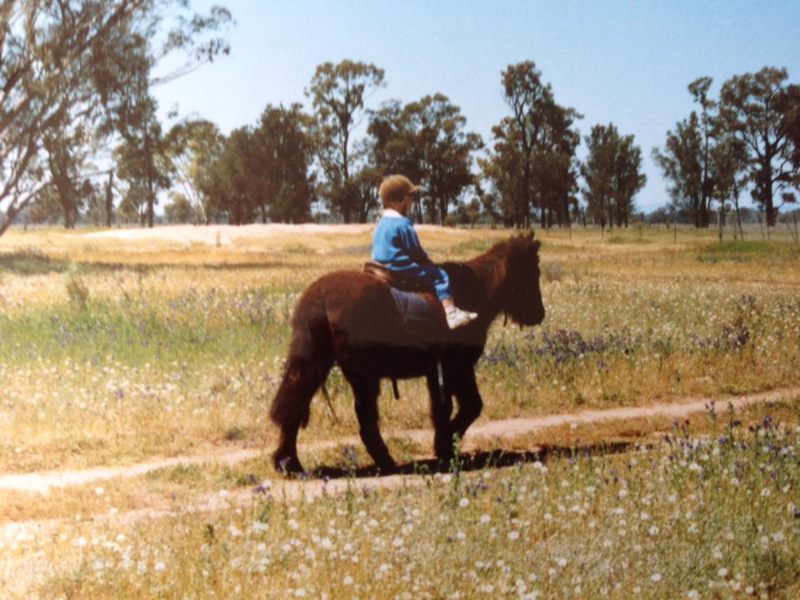 When I was about eight I was allowed to plod around on an old grey gelding on my own as he was safe and willing. This was my second ever time riding a horse and not a pony. One day he spooked and bolted straight towards a dam, and I clearly remember screaming bloody murder until my mother loudly reminded me that I had reins and I should use them. Well he did stop, about two inches from the edge of the dam! I was never so lucky! It means fresh air, bush bashing, snake spotting, finding new trails, taking the road less travelled. It means being able to be genuine and relaxed, being ever present, learning how to compromise. It means escaping, seeing the world from a different perspective, and using all of your senses. It means quiet conversations, and flying up hills with a giant grin on your face, and laughing at attempts to avoid horse-eating plastic bags. And most of all, the sense of connection you only get with a nose-to-nose greeting or a whinny from the other side of the yard. Being with horses has taught me about gratitude, patience, mutual respect, and putting your trust in something larger than yourself. Horses still have the ability to completely floor me with their mentality and behaviour, but I am slowly learning how they work and how I can better work with them. 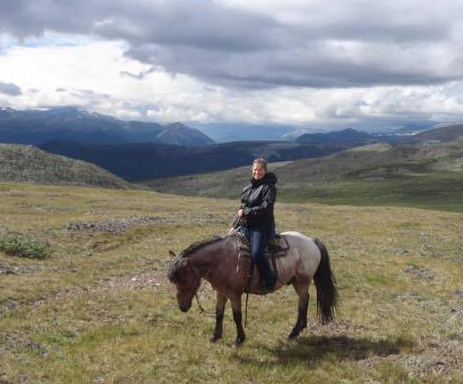 Travel and horses – I could not think of a better way to spend my time! I get so bored with passive holidays. I had met Kate at Equitana many moons ago and was keen but unfit and anxious. Then one day I just thought ‘stuff it, why wait?’ So I booked. I don’t think I really knew what I was getting myself into, but I have zero regrets. What globetrotting rides have you since completed/going to complete? I am about to embark on the Glenorchy Back Country Ride in January, and will hopefully be up for The Kimberley Ride next year! I think it would have to be galloping across endless grass plains without a thought or fear in the world. Being disconnected from technology and city living reminds you what the simple life could be like. In a country like Mongolia, I imagine it would be hard for many Westerners to feel at home. But on that bold little pony with his forelock flying high as he dodged bumps and ditches, I couldn’t imagine being anywhere else. It felt like home. I love the sense of adventure that comes with being immersed in nature and getting to do fun activities in a new place. Horse riding is a ‘must do’ on all of my holidays, so it just made sense to me to have it as the focus of the holiday rather than just as a side point. 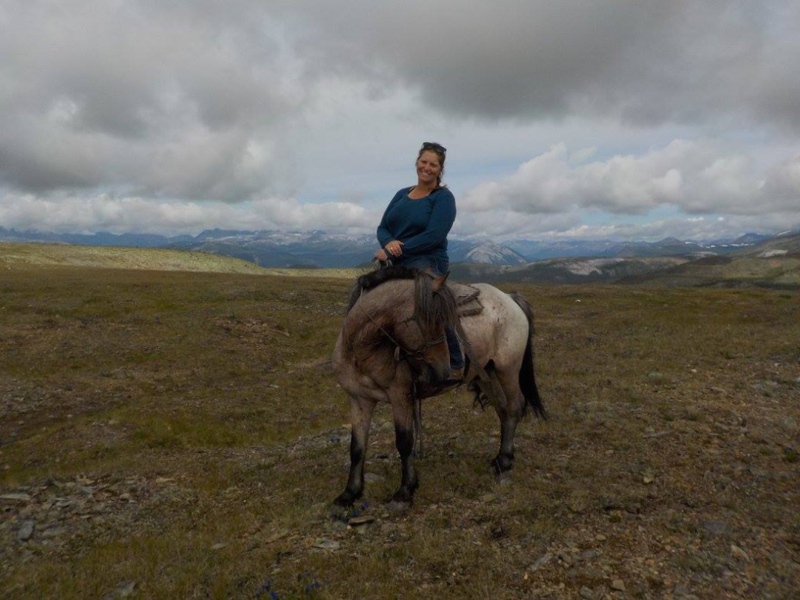 I rode a few horses in Mongolia, but my favourite was a fat roan gelding I affectionately named ‘Fatty’ (Mongolians don’t name their horses). He was incredibly strong, steady, stoic, foot-sure, and an unbelievably plucky ride. At one point he was about belly deep in mud and just kept trying different directions until he found one that worked for him. He even forgave me on the days when I was tired and had to literally haul myself into the saddle. A lovely quiet boy, sensitive to the leg, and I never felt unsure with him. I miss my Fatty! Take a solar charger for your camera/GoPro. Also, pack a thousand pairs of undies, you do not want to have to go commando if your washing doesn’t dry! Your wet wipes!! Wet wipe showers are a luxury when travelling off the beaten track! 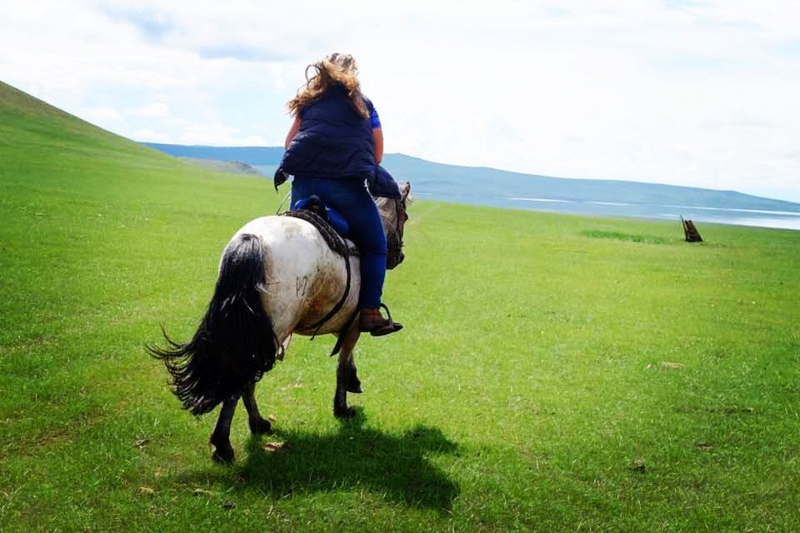 Stacey loved her time in Mongolia so much, she made a video of her trip! You can watch it here.